Jodie Whittaker wants her version of the famous Time Lord to inspire young women. The Broadchurch actress made history last year when she was announced as the first female incarnation of the Doctor in Doctor Who. She now hopes seeing a woman in the leading role will inspire girls to aspire to be heroes, rather than companions. Meanwhile, Whittaker isn’t feeling the pressure about stepping into the Doctor’s shoes – as no woman has gone before her. She said: “The pressure is less for me because I can only do this my way. All the rules are out the window! That’s what makes it so fun. 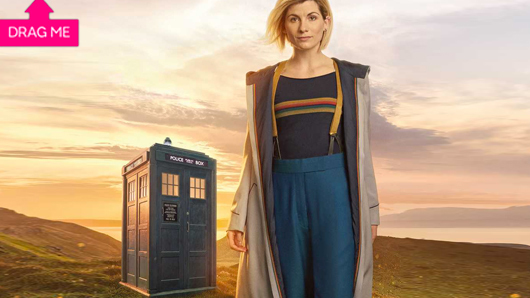 Whittaker was cast by new showrunner Chris Chibnall, who believes the audience were “ready” for the change. Chibnall said: “I felt the time was right for a female Doctor – I felt the audience were ready for it, the world was ready for it. “I think if we hadn’t done it, we would have been behind the world – and Doctor Who has to be out front leading the world, showcasing all the amazing things out there. Doctor Who returns in Autumn 2018. « Love Island SPOILERS: Surprise couple axed tonight?